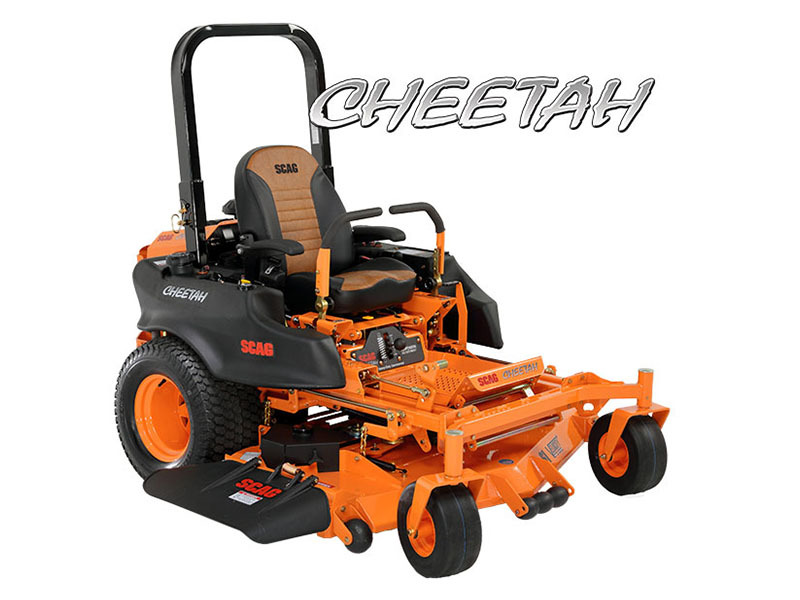 Clocking in at speeds up to 16 mph and featuring a coil-over shock suspension system, the Cheetah is truly a remarkable zero-turn mower. The Operator Suspension System isolates the operator platform via a coil-over shock and provides additional comfort via rubber iso-mounts. This innovative, adjustable system soaks up the bumps and keeps things simple with only three moving parts. The ZT-5400 transaxles have two-speeds, Low Range (up to 12MPH) and High Range (up to 16MPH). 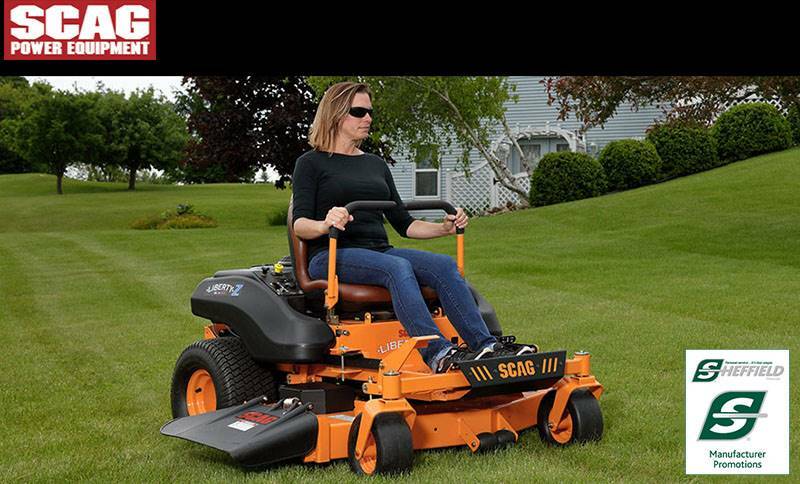 The large 15 gallon fuel capacity (dual tanks) keeps you in the field cutting grass. Fill up in the morning and cut all day long. From the heavy-duty, Tri-Plate Velocity Plus™ side discharge cutter decks and the 61" Velocity Plus™ Rear Discharge Decks, to the various high-power engine options, there's a Cheetah that will increase your productivity and leave your competition in the dust! POWERFUL 2-SPEED HYDRO-GEAR TRANSAXLES: Internal 16cc pumps and 21cc motors, transaxle's design greatly reduces hoses and possible leak points. TIGER EYE ADVANVED MONITORING SYSTEM: Keeps a constant, real-time "eye" on important system functions on your Scag Cheetah. Depending on engine selection, a wide variety of systems are monitored in real-time. SCAG CAST IRON SPINDLES: Ultra-tough cast-iron housing, tapered roller bearings, top mounted grease fitting with a relief valve to prevent over greasing. POWERFUL PTO CLUTCH BRAKE: Ogura GT 3.5 / GT5 PTO clutch brake offers excellent starting and stopping power for the cutter deck. Adjustable air-gap for long life. LOW HINGE POINT, FOLD-AWAY ROPS: The low-hinge point ROPS design folds away without adding height or length to the mower for transport and storage or when traveling under trees or low overhangs. HEIGHT-OF-CUT ADJUSTMENT: Adjust the height-of-cut in seconds from the seat with the improved vertical facing, foot-operated cutting height adjustment with convenient adjustable, three-position foot pedal. EASY DECK LEVEL ADJUSTER: Quickly and easily adjust your cutter deck to be perfectly level. DUAL FUEL TANKS: 15 gallon total capacity keeps you in the field cutting grass. Fill up in the morning and cut all day long. 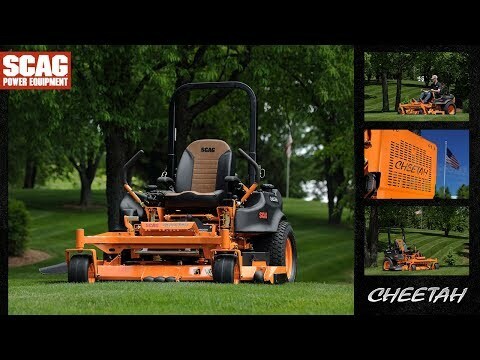 Fuel tanks are positioned low, enhancing the mower's low center-of-gravity and giving it excellent hillside stability. REPLACEABLE FRONT CASTER EXTENSIONS: Heavy-duty caster extension is replaceable in the event of a damaging impact. VELOCITY PLUS REAR DISCHARGE: The industry leading 61" Velocity Plus™ Cutter Deck is now available in rear discharge (RD) on the Scag Cheetah. 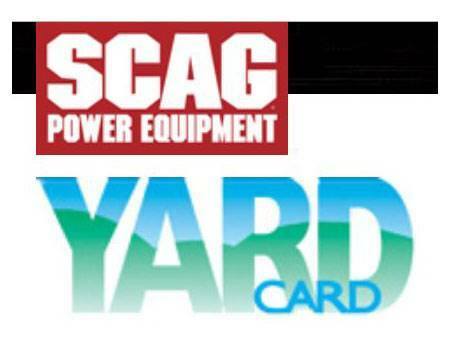 Same tough spindles and Tri-Plate deck top, same Scag toughness built in. Drive Tires - 24 in. ROPS up - 67 in. ROPS folded - 49.5 in.